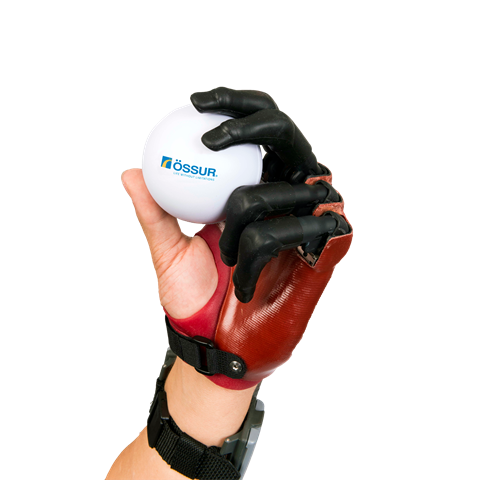 i-Digits™ Quantum is a customized prosthetic device for individuals with partial hand loss or deficiency. i-Digits Quantum is appropriate for partial hand absence. Suitable candidates present with partial hand loss where the level of loss or deficiency is distal to the wrist and proximal of the metacarpophalangeal joint. Anywhere from one to five digits can be replaced. i-Digits Quantum offers the ability to change grips with a simple gesture. Gesture control enables an automated grip to be accessed by moving the i-Digits™ Quantum in one of four directions.